Dr. Anita Madhav is your Plano, TX dentist offering exceptional general and family dental care. General dentistry is the bedrock of any dental practice, and it almost goes without saying that the same is true for Preston Bend Dental. We take great pride in helping our patients create smiles that are both healthy and beautiful -- because having the confidence to smile more can, in itself, help you improve your sense of wellbeing. We recommend that patients of all ages undergo a preventive dental cleaning and exam at least every six months -- but additional visits can be beneficial for patients who are especially at-risk of tooth decay or gum disease. During this visit, your dental hygienist will remove the plaque and tartar that’s had the chance to build up on the surface of teeth since your last appointment. Dr. Madhav will also examine your teeth for spots of decay, and make sure your gums are healthy and infection-free. She’ll check in on all existing dental hardware to make sure everything is functioning as it should be, too. If you notice you’re dealing with chronic headaches, worn or increasingly sensitive teeth, you could be unknowingly grinding your teeth during sleep. Sufferers of the condition known as bruxism often find relief with a custom night guard worn during sleep, a solution we can provide at Preston Bend Dental. You’ve noticed that your back teeth, or the molars, are have a moon-like surface of pits and fissures. It’s easy for bacteria-filled plaque and tartar to build up and cause cavities on this bumpy surface. Fortunately, dental sealants provide an excellent defense. They’re thin coverings that are painted directly onto the chewing surface of these back teeth to shield enamel from decay-causing agents. Quick and painless, the treatment can provide protection from cavities for years. Oral cancer screenings are important for all adults -- especially those who are at an elevated risk for the condition. Risk factors for oral cancer include tobacco use, age (above 55), gender (males), and frequent exposure to UV light. Dr. Madhav can perform an oral cancer screening alongside your regular checkup and cleaning. When she does, she’ll look for the irregularities that signify the condition -- like oral bumps, sores, and asymmetry in the face or mouth, among other symptoms. Athletes of all ages should protect their teeth with an athletic mouthguard. It’s a small piece of plastic that provides significant protection against sports-related trauma and impact. Even better, some studies show that wearing an athletic mouthguard can actually reduce the incidence of concussion. Preston Bend Dental provides custom mouthguards for use on the field, track, or court. Preston Bend Dental is proud to carry the line of Oxyfresh dental hygiene items to help improve patients’ dental health. For reduced plaque buildup, improved receding gums, stronger gum tissue, and a reduction of the bacteria that causes gum disease, Oxyfresh toothpaste, mouthrinse, and other items can’t be beat. The next time you or your loved one run into a dental emergency, feel confident knowing the team at Preston Bend Dental is ready to provide the attention you need -- as soon as you need it. Call our office immediately after experiencing a knocked out tooth, a broken tooth, an oral laceration, a severe toothache, or anything else that you suspect needs an emergency dentist. When your dental health is on the line, we promise you will never be left waiting in pain. For a truly healthy smile, don’t forget we recommend visiting Preston Bend Dental approximately every six months -- that’s just two appointments each year. During your visit, a hygienist will clean your teeth, and then Dr. Madhav will complete a thorough exam to diagnose any problems that might need to be treated. These appointments are crucial for preventing dental issues, and catching existing problems while they’re small. Some of the most common oral health problems include cavities, gum disease, and teeth grinding/malocclusion. If we find anything problematic during your visit, we’ll be happy to recommend a treatment and answer any questions you may have. Contact Preston Bend Dental Today! Is it time for you to schedule your next checkup and cleaning? 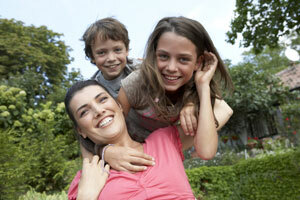 Call Preston Bend Dental to schedule an appointment with your family dentist in Plano, TX. We are happy to offer general and family dental care to patients from Plano, Frisco, McKinney, and beyond.